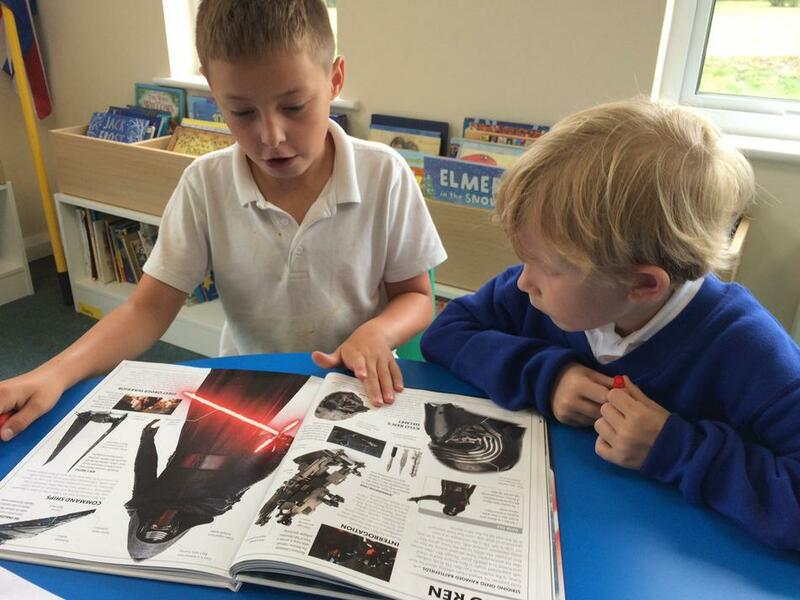 At Fir Tree, we passionately believe that children's learning in English (reading, writing, spelling, speaking and listening) should be engaging, purposeful and underpinned by an approach which builds on children's pre-existing interests, skills and understanding. English is woven through our projects and subjects in imaginative and meaningful ways, leading to highly motivated and rich learning experiences for our children. 'Talk for Writing' is at the heart of our English learning which means that we have lots of opportunities to explore our ideas through drama and discussion before putting pen to paper - this not only builds our confidence, but helps to embed the features and language of our text type before we start the writing process. We encourage children to read and develop a love of reading. We have a well resourced library and children also visit our local Wallingford library. 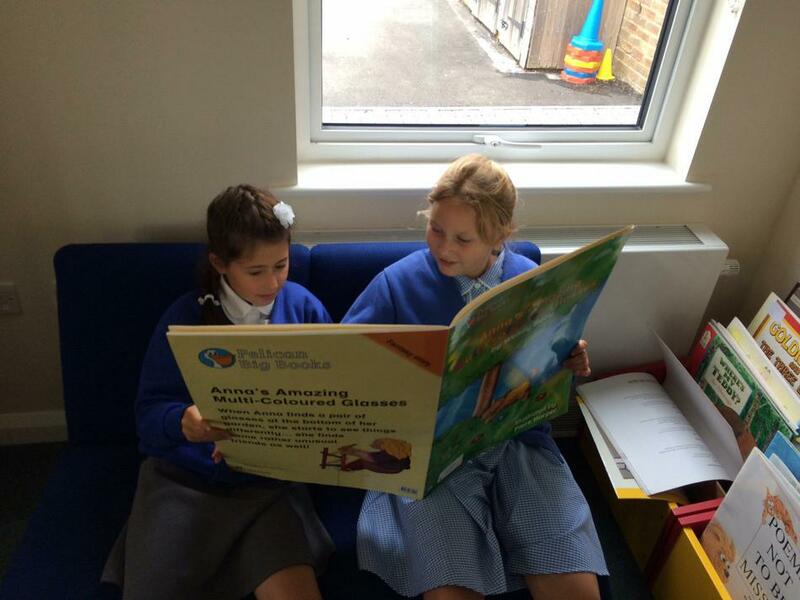 Reading with children happens across the week in each class and we also have 'Buddy Reading' where the older children read and listen to the younger children reading their favourite books. We teach reading daily in guided reading sessions and for children who are still struggling to decode words and understand the sound system, we use use Letters and Sounds, a phonic programme that helps children understand how to blend and segment letters and their sounds. In addition to this we have two reading schemes, Code X and Rapid Readers, that are used with children in small groups as part of an intervention programme. Our English curriculum is firmly rooted in our goal to challenge all of our learners to develop their 'Mastery' in reading and writing. This approach to learning is lead by the principle that mastery is about deep, secure learning for all, with the extension of learners rather than acceleration through new content. As a result, our learning in English focuses on depth of understanding and ensures children develop a rich awareness of audience and purpose within their reading and writing. To develop their mastery of reading, our children have lots of opportunities to engage with a wide range of challenging texts which will develop their passion for reading and breadth of knowledge; our school library is stocked with a fantastic collection of high-quality reading materials and each classroom has a 'reading corner' to foster children's recommendations and sharing of texts. 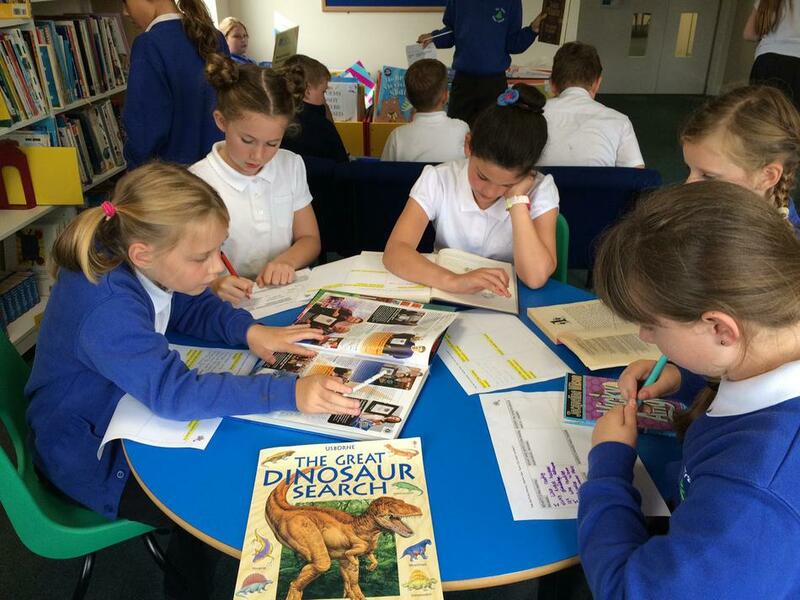 Through their careful planning, our teachers ensure that all children are immersed in motivating and challenging texts; they provide a range of individual and shared reading opportunities so that comprehension, grammar and technical writing skills are embedded into the whole-class teaching approach and guarantees that these are shown within a 'real' purpose and context. To foster mastery in writing, teachers use skilled questioning to encourage children to understand and explain why - as authors - they have chosen specific language, style, structure or punctuation. This understanding of the audience and purpose of their writing is developed in whole class, small group and individual learning conversations and teaching, which can include shared writing (where teachers can model on-going evaluations of writing through 'out loud' thinking). This has been designed to be a space with a bank of resources to support the learning of English (reading, writing, spelling and grammar) at home. As requested from our Curriculum Evening, here are a selection of resources you may find useful. Please see Mrs Ash (Chestnut Class) if you have any further questions or would like any additional resources!